If you’re anything like me, great coffee can make any day better. Watching the steam roll off the top, tasting the depth of the beans, it brings relaxation even though it delivers a dose of caffeine. And often I go to bed knowing that a hot cup of coffee in the morning will will be worth waking up for. I’ve always wished I could brew a barista-worthy cup like the one I order at my favorite “fancy” coffee shop, a smooth pour-over that takes some time and precision. And even after asking many questions and watching intently, my attempts to make the same thing at home always fall short. 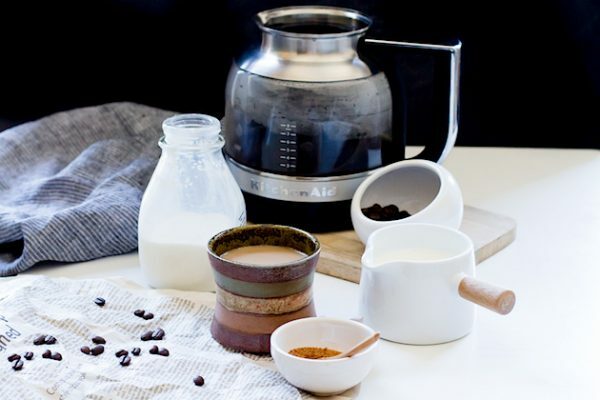 With the KitchenAid® Siphon Coffee Brewer, you can make the coffee of your dreams within a minute, without the hassle of a filter, a steady pour, the perfect temperature, or careful timing. It all occurs as you stand in awe and watch the magic happen, literally. Seeing the entire brew process is quite amazing, from the water heating up initially (within 30 seconds you’ll see bubbles), the grounds becoming fully immersed in the top chamber, and the vacuum pulling the finished coffee into the carafe. 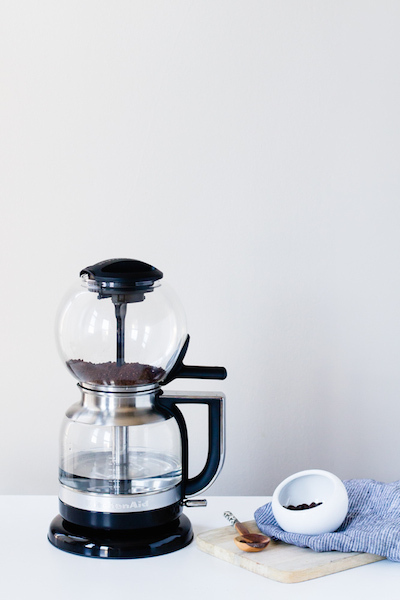 It’s the result of time-tested manual brewing methods, with beautiful modern aesthetics and the average American in mind, who knows that a great cup of joe makes life better. 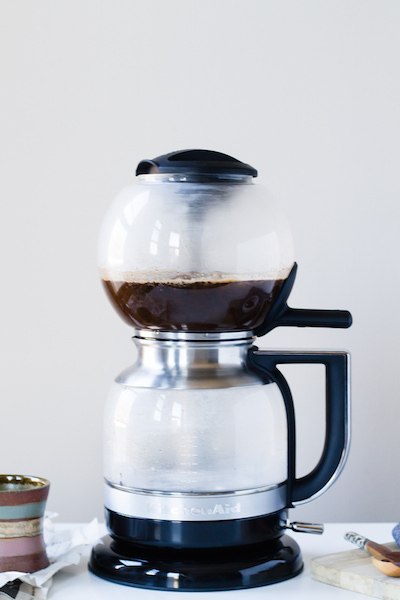 After a few months of home brewing, I wanted to share a few of my secrets to making the richest, most velvety cup of coffee ever, with the help of the KitchenAid® Siphon Coffee Brewer of course. 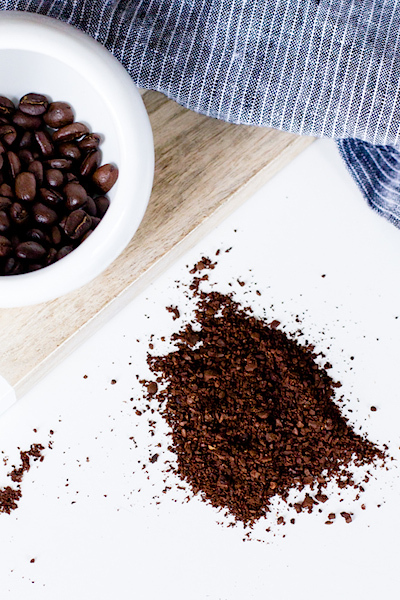 All good things start with high quality ingredients, so be sure to buy fresh whole beans, preferably from a local roaster, then grind them when you’re reading to brew. This is because coffee starts losing quality almost immediately upon grinding. You never know how long the pre-ground bag you pick up off the shelf has been sitting there. And never use tap water! Nothing can ruin a pot of coffee more than tap water with chlorine or off flavors. Filtered water is pure, and serves as a blank canvas. 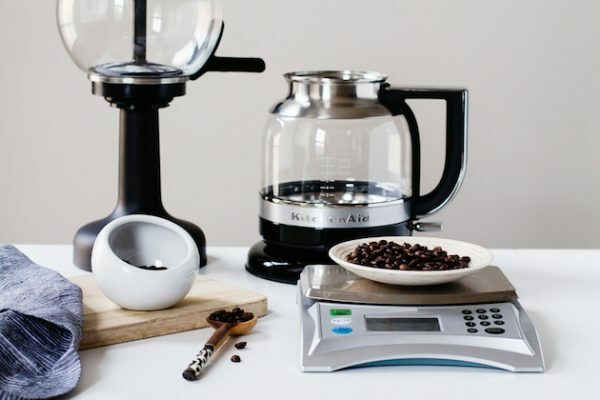 The Siphon Coffee Brewer comes with exact weight measurements you’ll need for your bean to water ratio, which is essential for a balanced cup. Although it takes a few seconds to weigh both, it’s definitely worth it. Then fill your pot with the amount of filtered water you desire for your end result. I usually go up to the #4 line, which is 20 ounces. Perfect for serving two people. Grind your beans to a medium-coarse texture, which should look like the picture above, and add them to the top chamber of the brewer, where the filter sits. You’ll then attach this to the coffee pot and be ready to brew. This is one of the reasons I absolutely love this Siphon Coffee Brewer. Flip the switch upwards, and watch as the water quickly heats up to the precise temperature for optimal brewing. The water will then move into the upper chamber, and the water vapor will saturate the grounds. Finally, gas extracts to create a vacuum that will pull the perfectly brewed coffee into the carafe. A seriously beautiful process! And now is where I like to embrace a little bit of pure decadence with just two ingredients. 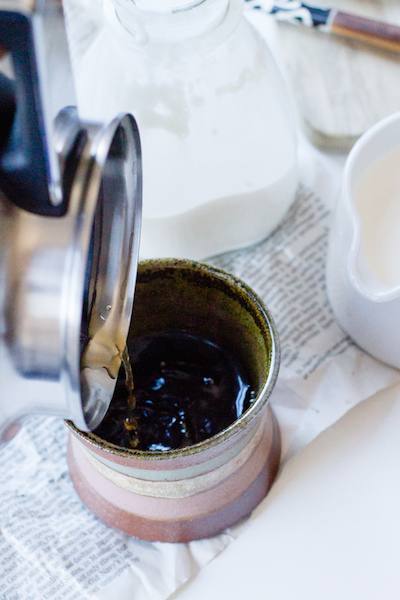 I steam heavy cream until bubbles just start to form around the edges of the pot, then stir 4 ounces of the cream into every 10 ounce cup of coffee. 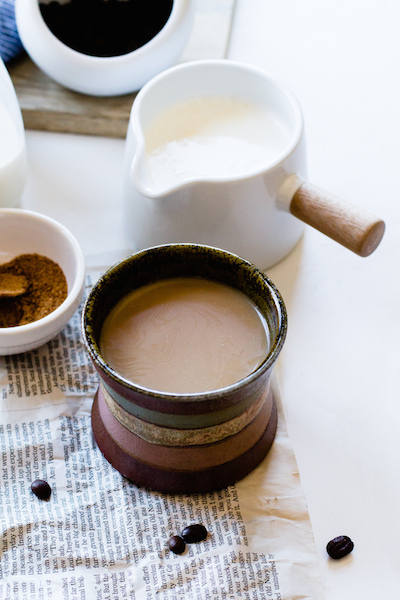 Again, buy the best quality ingredients you can, so in this case, cream from grass-fed cows. 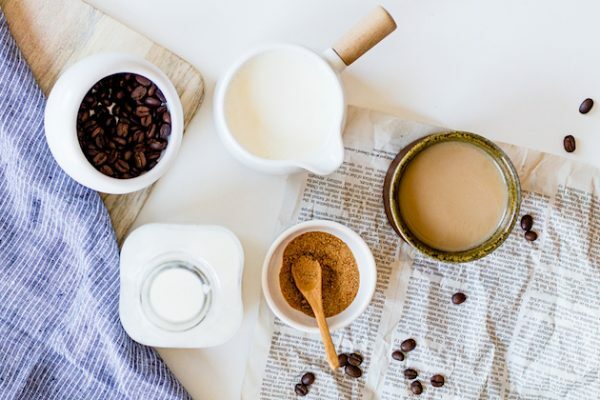 To add a bit of sweetness, I stir in about 2 teaspoons of coconut sugar per mug, which has the loveliest caramel flavor and is an unrefined source of sugar. Rich, creamy and smooth? Yes. 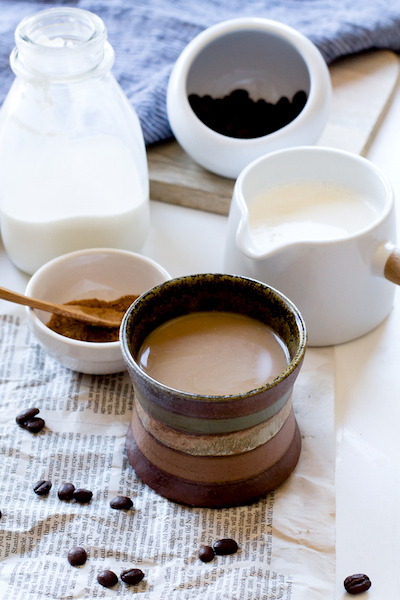 Everything you love about an expensive cup of coffee, but in your own home? 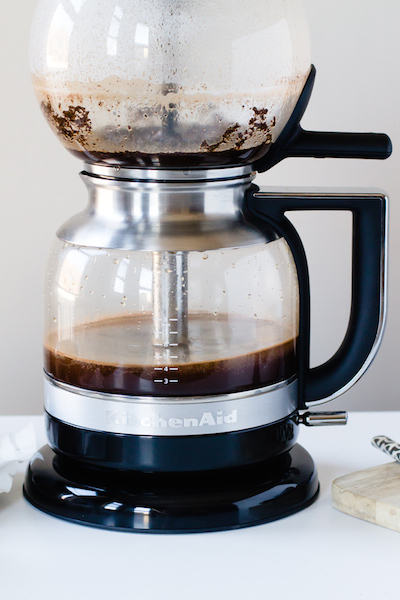 Absolutely, thanks to the KitchenAid® Siphon Coffee Brewer.